The 2019 WWE Superstar Shake-Up kicked off on Monday’s episode of Raw, with AJ Styles, The Miz, and The Usos among 17 people who were drafted to the red brand. Here is the full list of Superstars who swapped SmackDown Live, NXT and 205 Live for WWE’s flagship show: AJ Styles, The Miz, Ricochet, Aleister Black, Erik (Rowe), Ivar (Hanson), Andrade, Zelina Vega, Rey Mysterio, Lars Sullivan, Jimmy Uso, Jey Uso, Naomi, EC3, Lacey Evans, Eric Young, Cedric Alexander. 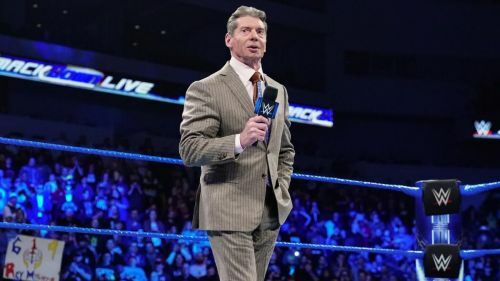 Looking ahead to Tuesday’s episode of SmackDown Live, WWE is teasing on its website that Vince McMahon will introduce “the biggest acquisition in SmackDown Live history” during the second night of the Superstar Shake-Up. “The first night of the Superstar Shake-up was thrilling, to say the least. Although SmackDown LIVE is saying goodbye to Superstars like AJ Styles, The Miz, Rey Mysterio and Naomi, there is still plenty of intrigue as to who will be joining Team Blue. In this article, let’s take a look at the four most likely Superstars who could turn out to be Vince’s secret acquisition. As tempting as it is to include John Cena on this list, the 16-time world champion was part of the original SmackDown Live roster when the show rebranded after the 2016 WWE Draft, so it would be a massive overstatement to suggest that him moving to the blue brand could be “the biggest acquisition in SmackDown Live history”. Instead, it is much more likely that another performer with huge star power, such as Brock Lesnar, is the person that WWE is referring to. “The Beast” was defeated by Seth Rollins in the opening match of the main show at WrestleMania 35 and, after two reigns with the Universal Championship, he has no business remaining on Raw. A switch over to SmackDown, where he made a big impression during his first WWE run from 2002-2004, would allow the former UFC star to set his sights on the WWE Championship further down the line, while his sports background could also come in handy when WWE starts to promote SmackDown Live’s move to FOX in October 2019. WWE News: WWE planning to fire Roman Reigns this week on SmackDown Live?